This year’s keynote event will be held at the Ecotrust Natural Capital Center in downtown Portland located at 721 NW 9th Ave #200, Portland, OR 97209. The evening will launch with a brief, provocative video on the Anthropocene, which will frame remarks by our two keynotes, Lesley Head and Paul Robbins, and a lively discussion with the audience. The audience will ask questions and post observations via a live Twitter feed (#lcenvs); some live questions will also be included. A catered reception will follow. Transportation to and from the event will be provided for Lewis & Clark students. What does it mean to dwell in the Anthropocene, when the earth has in many ways become a human creation? Shall we the anthropos celebrate or mourn this era? How shall we guide our environmental practices when notions such as the balance of nature and living within limits no longer fit our collective experience? How shall we move forward when the only choices we understand seem far behind us? 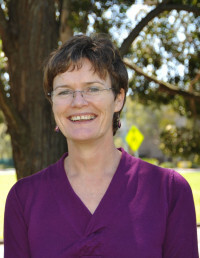 Lesley Head’s long-term research fascination is human-environment relations, both conceptual and material. She wants to understand how humans have physically changed earth’s systems, how we think about our place in nature, and how these two things are connected. She has a particular focus on humans and plants. In recent years she has worked mostly in cultural geography, with projects on backyard gardens, wheat and invasive plants. This developed from her earlier interest in Aboriginal land use, ethnobotany and fire. She started her research career using palaeoecology and archaeology to study long term changes in the Australian landscape, and the interactions of prehistoric peoples with their environments. Today she is building on this multidisciplinary background in the Australian Centre for Cultural Environmental Research (AUSCCER), where a team of scholars is applying cultural research methods to the pressing issues of sustainability and climate change. 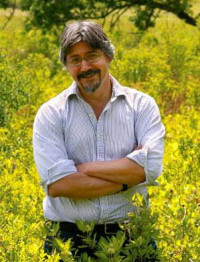 Paul Robbins is the director of the Nelson Institute for Environmental Studies at the University of Wisconsin-Madison and holds a master’s degree and doctorate in geography from Clark University. His research addresses conservation conflicts, urban ecology, and environment and health interactions, but especially focuses on the ecological and economic values that emerge from human-influenced and human-created landscapes. His current research examines biodiversity (frogs, birds and mammals) in commercial coffee and rubber plantations throughout south India. Robbins has also led national studies on consumer chemical risk behaviors and American lawns. His award-winning book Lawn People: How Grasses, Weeds, and Chemicals Make Us Who We Are is widely recognized as one of the most accessible books on the environmental politics of daily life. View the event here on the Environmental Studies page. Next Free Your Mind. Learn in Prison.